The Advisory Council to the master’s degree program in audience analytics is comprised of people who broadly represent the demographics of the profession globally. Members are leaders from a range of positions in the consumer and audience analytics sectors of the media and measurement industries. Council members have unique access and insight into the current challenges and needs in this specialized field, as well as those of the future. The Advisory Council role is two-fold. First, the council helps the college confirm and document the skills and capabilities that employers seek in graduates of the audience analytics master’s degree program. Second, the council helps to ensure the program has adequate resources and a relevant, well-designed curriculum to provide students with the capabilities, knowledge and behaviors necessary to succeed in their chosen careers. The Council is chaired by the graduate director of the program. 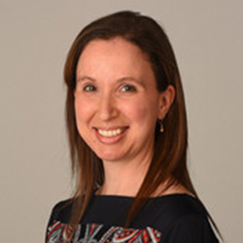 Stephanie DiVito is the senior director of media intelligence at ESPN. She currently oversees all platform-level audience research at ESPN, with a focus on linear TV and streaming. Additionally, Stephanie’s team is responsible for insights related to several key fan segments, including multicultural, women, and youth. Stephanie is also a participant on several media research committees, including the Media Rating Council’s television committee and the Video Advertising Bureau’s National Measurement and Insights committee. Brian Fuhrer is senior vice president, product leadership for Nielsen. In this role, he is responsible for Nielsen’s national and cross-platform television audience measurement initiatives supporting major media clients, Internet companies, MSO/MVPDs and advertising agencies. Brian has worked with a broad range of clients to understand the dramatic changes being observed in how consumers access video content, and developing measurement solutions for the opportunities presented by the migration to on-demand viewing. Brian drives these initiatives by collaborating with Nielsen clients who seek to understand the potential impact these developing trends will have on their distribution and business models. With over 30 years in media research and product development at Nielsen, Brian’s experience spans the U.S. media and advertising industry as well as overseas markets where Nielsen has a media presence in more than 30 countries. He frequently speaks at industry events and has been extensively quoted in the press. Based in Tampa, Florida, he is also site leader at Nielsen’s Global Technology and Innovation Center (Nielsen’s largest facility with almost 3,000 employees). Executive Director and CEO, Media Rating Council, Inc.
George Ivie is the executive director and CEO of the Media Rating Council, Inc. (MRC) is a not-for-profit industry organization created in 1963 at the request of the U.S. Congress to assure high ethical and operational standards in audience measurement services. Mr. Ivie’s background includes 30 years of experience in media research auditing, oversight and consulting. Prior to being appointed the executive director of the MRC in January 2000, George was a partner at Ernst & Young and their lead representative and advisor to the MRC, conducting all MRC audits and interacting with MRC management and member organizations. He has a thorough knowledge of research best practices, operations, controls and information systems in Internet, multimedia, print, radio and television measurement services. 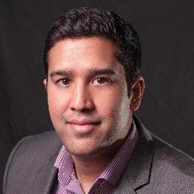 Sachin Kamdar is the co-founder and CEO of Parse.ly, an analytics platform that provides audience insight for digital publishers. Sachin has been in the content and digital media business since 2009, when Parse.ly launched as part of DreamIt Ventures’ incubator program. Since then, he has evangelized the importance of data for online news and media companies. Sachin graduated with a bachelor’s degree in economics from New York University and a master’s degree in education from Pace University. Christian Martinez is chief operating officer at Boatsetter, an online peer-to-peer boat rental service. 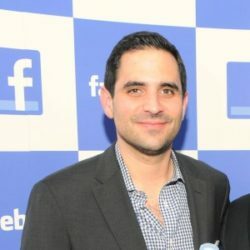 He joined the company in 2018 after his tenure at Facebook, where he served as Country Director of Mexico for Facebook and previously as Facebook’s Head of Multicultural Sales, helping to provide digital and social marketing scale for the U.S. multicultural marketer. Christian also spent 13 years at Univision Communications where he was vice president of network television and interactive sales for the Southeast and Southwest regions. In that role, he was responsible for leading the only integrated sales office in the country, in which he oversaw a team of network television and digital sellers focused on providing clients a fully integrated, cross-platform approach. Christian has led traditional, digital, programmatic, mobile and eCommerce efforts in the U.S. Hispanic space. Christian is a graduate of the University of Florida and resides with his wife and two children in Miami. Doug Peiffer has 30 years of experience in television audience measurement and research, with particular expertise in its use in advertising strategy and business development. Starting as a people meter installer for Nielsen Media Research in the U.S., Doug worked his way up to establish and run television ratings operations in several Latin American and Asian countries. He left Nielsen to lead TNS Media Australia’s bid for the Australian television audience measurement contract. Doug spent nine years with Australian national commercial television broadcaster Network Ten as general manager of strategy, integration and research. He drove all research activities for the network and worked closely with the sales and program development teams. Since December 2010, Doug has been CEO of OzTAM, Australia’s official source of television audience measurement for the five mainland capital cities and nationally for subscription television. He strives to help OzTAM’s clients – who include television networks, media agencies, advertisers and program producers – make full use of OzTAM ratings data in their planning and forecasting decisions. 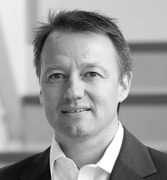 Doug is a graduate member of the Australian Institute of Company Directors and earned an MBA from DePaul University. Executive Vice President, Audience Measurement Innovation and Analytics Univision Communications, Inc.
Ceril Shagrin is executive vice president of audience measurement innovation and analytics for Univision Communications Inc. (UCI), the leading media company serving Hispanic America. Prior to assuming this position, she led UCI’s Corporate Research Division at Univision Communications, Inc.
Shagrin is considered a pioneer in the field of Spanish-language television research and has consistently distinguished herself by providing the industry with quality research. She was instrumental in demonstrating Univision’s ratings parity with English-language broadcast networks when she engineered the network’s migration to the Nielsen Television Index (from the service’s Hispanic monitor) and has been an industry leader in developing measurement tools that provide accurate, actionable data. Prior to joining Univision in 1999, Shagrin was senior vice president for market development at Nielsen Media Research. 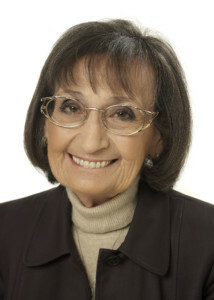 During her 27-year career at Nielsen, she was instrumental in the development of new systems and data collection techniques, and was the principal developer of the Nielsen Hispanic Service, which she managed for 10 years. Shagrin was instrumental in the implementation of the National People Meter Service. In addition, she pioneered the development of Nielsen’s measurement of non-traditional media such as place-based media, out-of-home viewing, and video news releases. Her application of state-of-the-art measurement technologies to Spanish-language television has helped to accelerate the growth of this industry. An active member of the Media Ratings Council, Shagrin is a past chair of the MRC Board. She serves on the Television, Internet and Radio committees. She chaired the Nielsen Council for Research Excellence for the past four years and is Chairman Emeritus and chairs the Sample Quality Committee. Shagrin was the recipient of the 2005 Hugh Malcolm Beville, Jr. Award, honoring outstanding contributions to the field of broadcast audience research, which is awarded by The National Association of Broadcasters and the Broadcast Education Association. She was the recipient of the MRC Innovation Award in 2013. 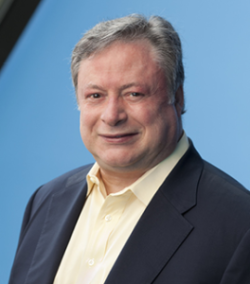 Jack Wakshlag is among media’s leading research and analytics experts with over 30 years of industry leadership. Previously held senior positions include Chief Research Officer at Turner Broadcasting System, Inc., Executive Vice President and Head of Research for The WB Television Network, now The CW, and Head of Research and New Media for CBS and it’s owned television stations. Formerly Associate Professor of Telecommunications at Indiana University, Jack is an oft quoted expert on media strategy and measurement. His honors include induction into the Market Research Council 2018 Hall of Fame, and the Distinguished Alumni Award from Michigan State University. 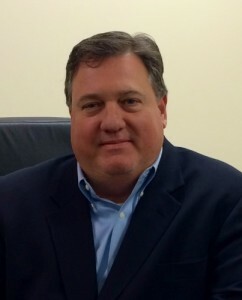 He currently serves as the Chair of the North American Board of the Ehrenberg-Bass Institute, is an advisory board member of the University of Florida graduate program in Audience Analytics and is also on the advisory board of Simulmedia, a leader in the application of advanced analytics to TV ad scheduling and placement.